This is achieved using a sequence of "clock" genes; these turn each other on and off sequentially over a 24 hour period to control our biological rhythms including when we wake up and when we feel the urge to sleep. As such, this is the biochemical clockwork that gives us our biological or "body" clock. But referring to the "clock" in the singular is something of a misnomer: in reality, the clock genes that keep time for us are expressed in almost every cell in the body. So each organ has its own clock, which sets the timing of the physiological rhythms running in that organ. But a savvy reader - and especially one who's a collector of clocks and other timepieces - will realise that, with all these clocks ticking in parallel, there's enormous scope for them to go off kilter, so something must keep them all ticking at the same time. This is the role of the "master clock", which sits in the underside of the brain, in a part of the hypothalamus called the suprachiasmatic nucleus. This neurological master clock is the Greenwhich Mean Time which the rest of the body's clocks, in all of the other tissues, set their own watches by. So what sets the master clock? This is achieved by light exposure. Special connections from light-sensitive cells in the back of each eye send wake-up signals at the start of the day to tether the master clock to the time of daybreak. The master clock then relays the time to the rest of the body's clocks by producing so-called "entraining signals", which include surges of hormones such as cortisol, bursts of neural activity, and changes in body temperature. Every other cell sees these signals and uses them to keep its own clock in check. This is great for keeping the body in-sync, but it does mean that, if the master clock is damaged, the entraining signals are lost and the rhythms of the rest of the body clocks will be disturbed and begin to drift. This leads to altered physiological and behavioural rhythms. One might notice that these entraining signals do not rely on hormones or receptors that are specific to the circadian system. This means that anything that perturbs the timing of entraining signals can potentially reset body clocks as an unintended consequence, much like a nasty side effect of medication. Cortisol levels and body temperature in particular are terrifically dynamic in nature. Think about the last time you exercised, ate a large meal (which shouldn’t be too difficult during this festive season! ), were sick, or were placed in an awkward social situation – your cortisol levels and body temperature were likely fluctuating greatly then. In this way, it is entirely possible for entraining signals to mis-time body clocks, even when the master clock remains intact. So, disease or lifestyle habits that happen to have an impact on entraining signals can wind up causing body clocks to tick out of sync. Since mistimed clocks lead to mistimed physiological rhythms, out-of-tune clocks could readily contribute to the development of many diseases. For example, a malfunctioning liver clock could be breaking down stored fat when it should instead be metabolising sugar, contributing to type 2 diabetes. 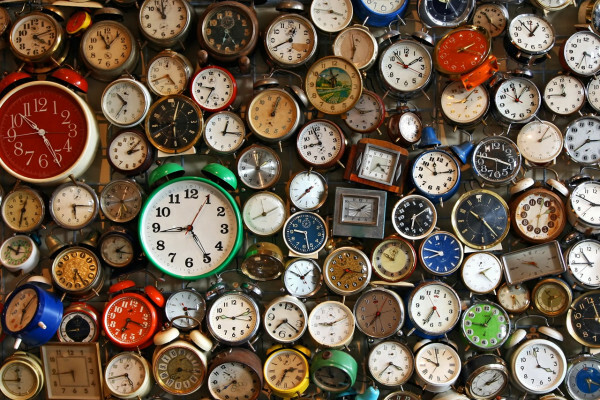 Even different parts of the brain have their own clocks. If these start ticking at different times, it can be a recipe for disaster in the form of mood and neurological disorders. It is entirely possible that badly-timed clocks in other parts of the body could have as yet undiscovered roles in the development of many diseases. So it's a bit surprising that, while the master clock has been well-studied, relatively less attention has been focused on the factors that disrupt internal entraining signals and might offer a range of simple ways to manage the symptoms of a range of disorders. Indeed, we still have a lot to learn about the workings of these body clocks. But we know that the clocks in some tissues are much more responsive to some signals than others, much like how a child can pick out the voice of a parent amongst the cacophony of a crowd. What we are less clear about is how each tissue integrates the smorgasbord of signals in the body. Research on body clocks is also particularly important in the context of today’s society: humans may have evolved under an enforced day/night cycle. It's only through the trappings of modern life that we are now exposed to conditions that our caveman ancestors never encountered: the invention of the electric lightbulb has enabled us to invade the night; the advent of technologies like refrigeration, transport, and telecommunications mean that food and mental stimulation are readily available 24/7; and workplace demands, like night shifts, mean that our body clocks have never been so confused, which is why we urgently need to study what's going on.